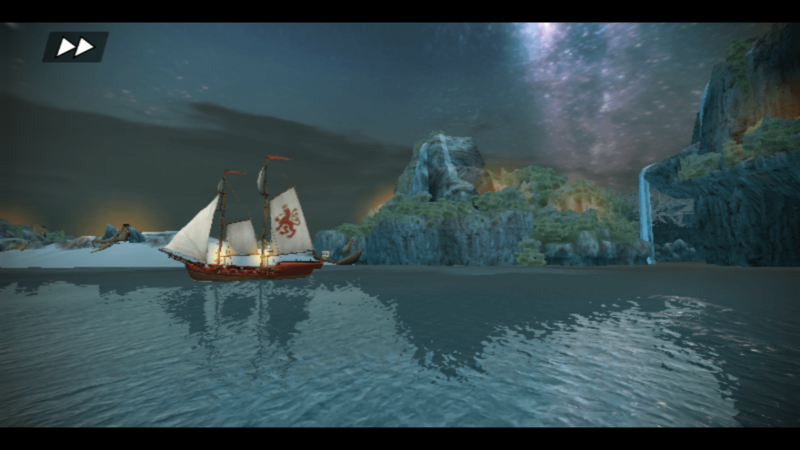 AC Pirates for Windows Phone is a great game that is immersive with outstanding graphics. It’s well worth the price of admission and should provide hours of entertainment. Earlier this week I posted on the fact that the Windows Phone Store has over 300,000 apps and continues to improve and mature. Here is another great example of that improvement. Ubisoft, makers of the Assassin’s Creed franchise, has just released AC Pirates for Windows Phone. This was one of my favourite games for iOS and when it dropped into the store yesterday, without hesitation I hit the Buy button. AC Pirates for Windows Phone has you play the role of Alonzo Batilla, a young pirate who is trying to make his way in the pirate world of the Caribbean. He does this by challenging the establishment, forging alliances and of course doing piratey things like steal gold and find treasure. The story line, graphics and game play are outstanding and yes I was up until the small hours playing – again. Before everyone gets to excited about AC Pirates for Windows Phone, it is really important that you make sure your Windows Phone meets the minimum requirements of the app. It requires 1GB of RAM to play which, unfortunately, is going to eliminate a lot of the low-end Windows Phone devices such as the 500 and 600 series. Those only have 512MB and the app will not even be allowed to install on your device. It’s not hard to understand why there is this requirement. The graphics in the game are impressive and clearly are going to drive a lot of memory and processor demands. Secondly, you will need 1GB of storage on your Windows Phone to download AC Pirates and you can only download it from WiFi. Ubisoft generally does well and in this game they have taken full advantage of the graphics engines in Windows Phone. Lens flares, shading and water motion are all excellent and even the ripples of the sails as you deploy them are outstanding. I will say that the graphics on the iOS version of the game are a little better and that is mostly due to the more graphics grunt that Apple has put into their platform. However, AC Pirates for Windows Phone is darn close and if you haven’t actually played the iOS version, you are none-the-wiser. For this review I was using a Lumia 1320 and I had no issues with it keeping up with the graphics demands of the game. Even during the cinema sequences there was very little pixelisation (not any worse than I saw on an iPhone) and virtually no hesitation. AC Pirates for Windows Phone is a RPG where you are Alonzo Batilla, a young pirate who is trying to make his way in the world in the Caribbean. In the game you are provided a series of tasks to complete as you navigate your way through the map of the AC Pirates world. Those tasks could be collecting items, battling English or Spanish navy’s, making runs to avoid detection or completing tasks in a specific period of time. At the beginning of each level you will be provided a clear set of objectives. After those are done, you are free to navigate the map to find your own battles or to complete other objectives in order to gain gold, wood and other supplies that you need. As you progress through the game you will need those materials to improve your ship, weaponry and the number of hands you have on your ship. As you would expect, the further you go the more expensive these items get so you will find that you spend a fair amount of time navigating freely to go pick a fight with some Spanish galleon to get some experience points (needed to go to the next level) and materials. Navigating the map is done either by simply raising your sails and sailing along to highlighted points on the horizon to complete that activity. You can also tap on the Map display to quickly draw a line from your ship to another area on the map to quickly complete tasks. There is value however in simply sailing around. You will find floating treasures as you sail along which you can tap and your crew will hook them into your ship to add to your materials totals. In addition, because this is a Xbox game, you get Achievements throughout the game for winning battles, collecting levels of loot, etc. This gives you the ability to compare yourself to friends in Game Center. During battles with other ships you will have various weapons available to you. When it is your turn to shoot, you aim by tapping the weapon you want to use then sliding your finger on the display of the screen to take aim at your enemies ship. You have to be precise as your opponent is constantly moving. Likewise, when your opponent is shooting at you, you must use the left and right dodge buttons to avoid getting your ship hit. If you take too much damage your ship will be sunk and you will have to restart the level. As you would expect, there is some treachery that goes on with fellow pirates, not just the navy’s you may face. You will have times where you are fighting another pirate to get their ship or loot. The story line of AC Pirates for Windows Phone is immersive and well done and should provide hours of entertainment while also causing you a frustration here or there as you try to sink that particular ship or find that particular treasure. Price at $4.49 (£2.99), AC Pirates for Windows Phone is now on the more expensive end of the game costs in the Windows Phone Store and that may put off some of you from buying it. It shouldn’t in my opinion. You are getting a great game with great graphics and it helps support a big developer who is committing to the platform – something we all know is still a struggle these days (although it is improving). One thing for sure is that you do have to buy if you want to play. There is no trial version available. 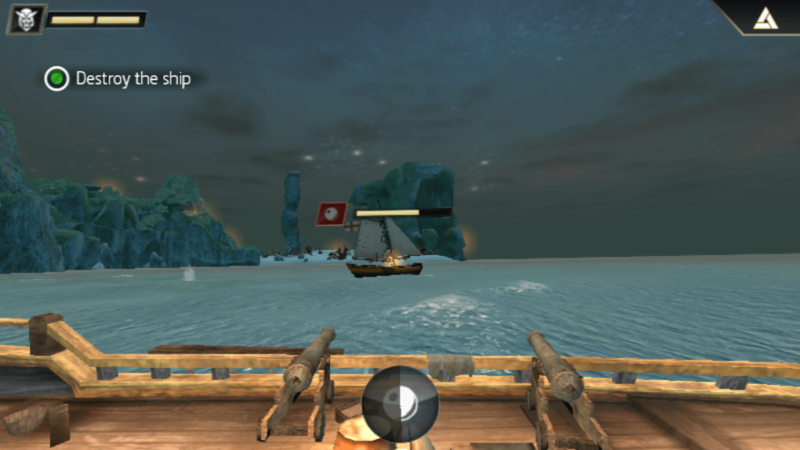 AC Pirates for Windows Phone is a great game with great graphics and game play. It will eat up hours of time (as it did for me until the small hours of this morning) playing, fighting and simply navigating around the well developed and designed worlds. It is also a good example of what can be achieved on Windows Phone as a gaming platform. AC Pirates for Windows Phone is $4.49 in the Windows Phone Store. It requires Windows Phone 8.1 and device with 1GB of RAM.